With The Claim now in the second stage of touring, here's a collection of press and reviews for the show so far. — Tim talks about the audience reaction in an interview with Theatre Weekly. 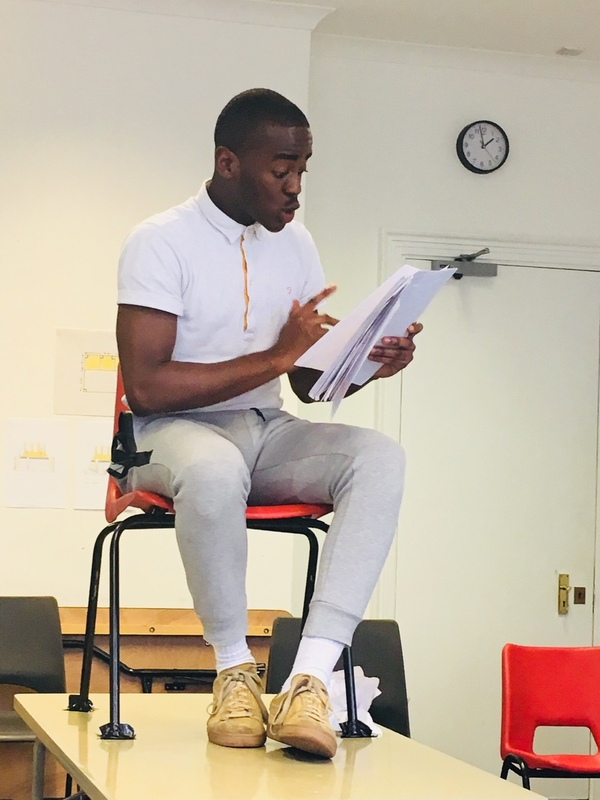 Week 2 of rehearsals for The Claim began with finishing our work on clarifying the ‘beats’ – where the temperature in the scene changes. This has allowed us to find the flow through each section. We have decided to call sections 1-5 ‘stages’ to capture the play’s journey through an inevitable, fixed process. We are developing our understanding of the flavor of each stage, and the emotional journey of each character through the piece. Our process is to read the text slowly, stopping where we think a beat is, naming the beat, reading over that beat again, running on into the next beat - then repeating the process. 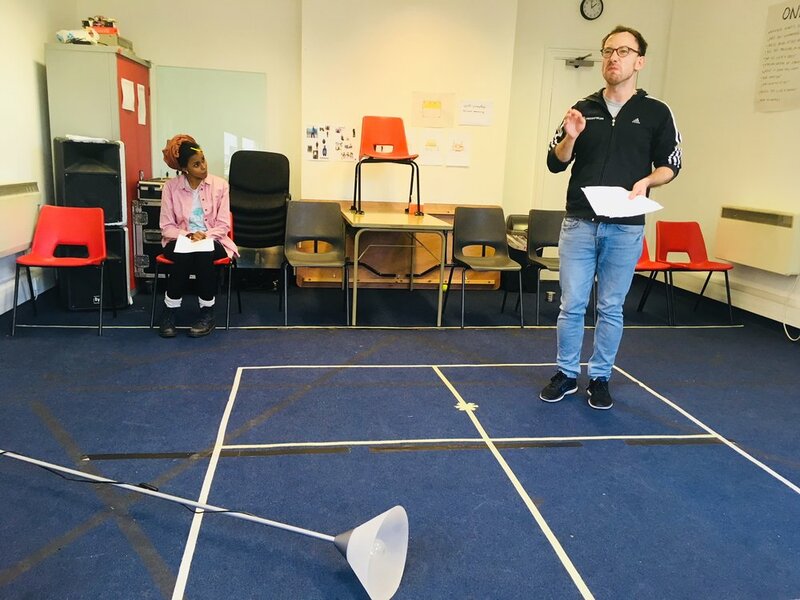 This structure enables us to agree on a general direction for each section of the script, giving us clarity in terms of meaning and helping the actors to learn the lines. The script is quite circular and repetitive so having beats allows us to structure it more clearly in our minds. Once we have done this we put each section on its feet. The play exists in an abstracted version of reality. Movement is minimal both to indicate this, but also to support the sparse and detailed style of the script. 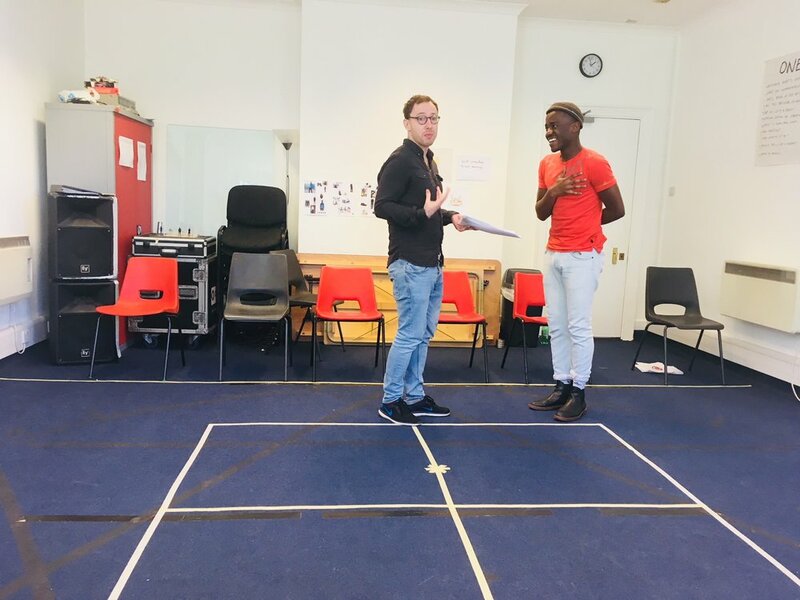 Mark has an idea for a general shape for the play, and then we find the precise language for each moment in the room with the actors. Tim has been visiting rehearsals, and we have had some changes to the script. It has been exciting to see how the script has been altered in response to the actors’ work in the room. What we have now is a polished, thoughtful piece, which has gone through three years worth of work, and has received input and feedback from a wide range of voices. At the beginning of every day we have a check-in. This has become an important way of creating a safe space for us to talk about our experiences of making a piece that investigates the lack of support around those who have experienced trauma. We each have the chance to say anything we would like to in the room. What we share is sometimes about the play and sometimes not. This allows us to start the day in a constructive place, as everyone has been heard and accepted into the space. A final and crucial aspect of our process to mention is four-square. For those who have not had the pleasure of playing this game, it consists of hitting a ball (in our case a tennis ball) around a pitch of four squares within a larger square, marked on the floor. At risk of making a controversial statement, the game requires little physical skill, but you do need to be mentally front-footed. Starting every day with this game puts the repetitive, fixed, mentally draining nature of the asylum process into our bodies. Some rehearsal photos here, taken by our Stage Manager Fana Sunley-Smith. The Claim is an ambitious and rare project – it aims to both represent the experiences of the people going through the asylum system, and to provoke and entertain through a formally inventive, playful text. The project brings together people from different backgrounds – throughout its process, Tim (writer) and Mark (director) have worked with arts organisations but also with human rights organisations including Freedom From Torture, Right to Remain and UNESCO. Our first week rehearsing The Claim reflected the diversity of thought that has gone into the making of this project. On our first day the actors read the script with the rest of the creative team in a circle around them. 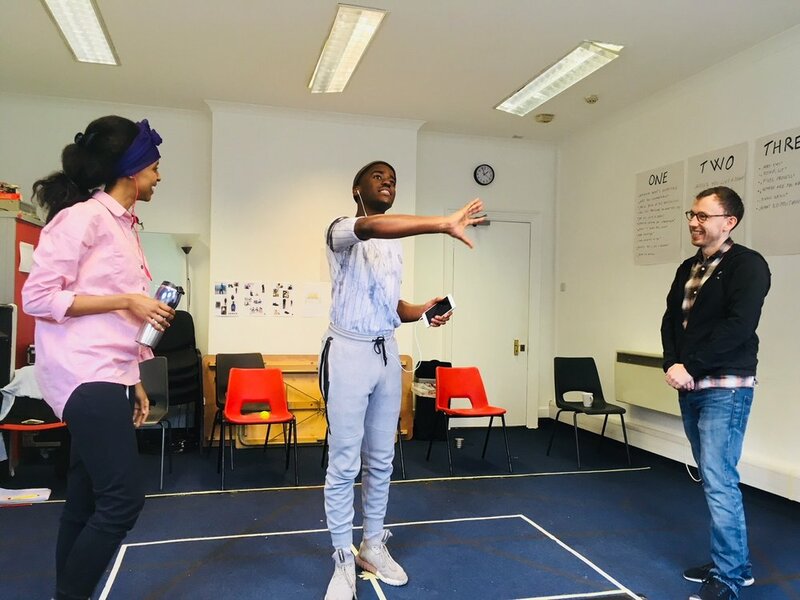 This enabled Yusra, Ncuti and Nick (our actors) to engage with us, the audience, creating the fizz of liveness that runs through Tim’s words and is the basis of the meta-theatrical concept that he has written – a dissection of a system whereby the claimant must perform their story, re-enact their trauma within a system whose baseline is mistrust. We spoke to Jade, a generous woman and refugee who went through the asylum seeking process. Jade answered our questions about the system and spoke of her experience. Her story, along with several other refugees’ words will be accompanying our show on tour so that you can listen to firsthand experiences of the UK asylum system. 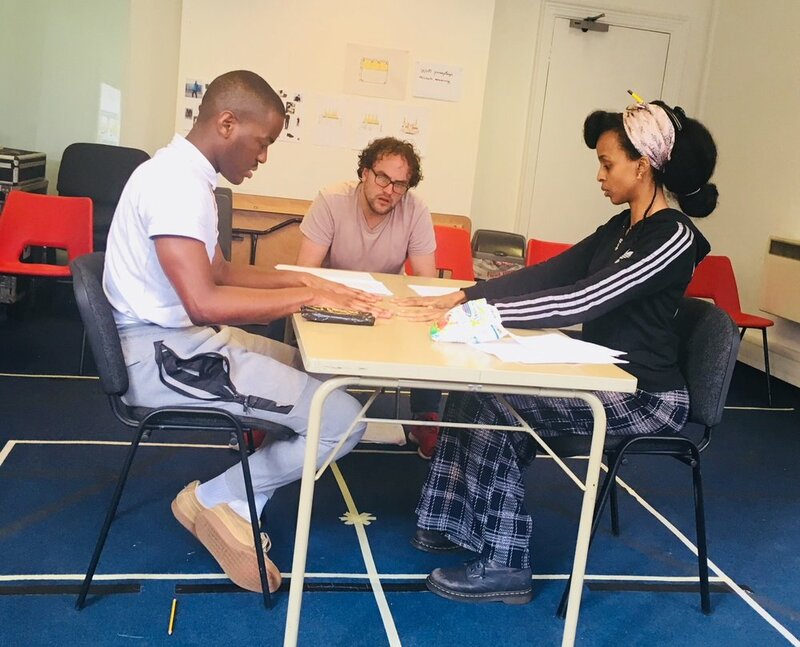 Sharing the space with Jade was an important part of our process – her input reminded us of the people whose voices we are giving a platform to through this play. We have been watching and reading various other sources that Mark has identified as key pieces of information. This included the United Nations’ definitions of refugee and asylum seeker, the information available for asylum seekers on the Home Office website and more detailed material on the process via the charity Right to Remain. Accessing and discussing these resources deepened our understanding of what it is like to go through the process, as well as what it is like for those who interview the asylum seekers (A and B in our play). The lack of transparency and beaurocracy of this system affect not only the people whose lives depend on it, but also those whose livelihoods do. The rest of our week was spent going through the play and sectioning it into ‘beats’, which we identify as points where the temperature in the piece changes. This helped us to develop a shared understanding of the rhythm and structure of the text. We have been blessed with being based at the wonderful Paines Plough headquarters. It has felt right that we are rehearsing in a space that curves out onto Aldwych – facing the busy heart of London. As the sounds of the city slice into the rehearsal space, we are reminded of how this piece directly engages its audience in a difficult, but necessary, conversation.